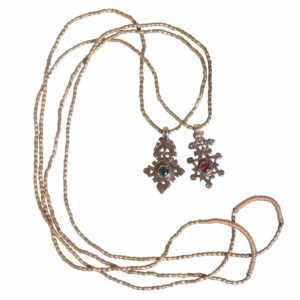 This traditional West African jewellery is created by Fulani craftsmen in Mali. 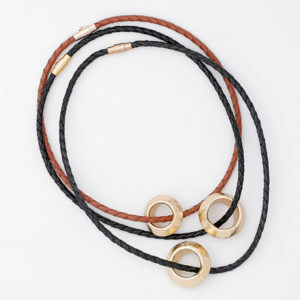 One of the largest groups of nomadic herders in Africa, the Fulani customarily wore their wealth in the form of gold jewellery that they could carry with them at all times. Based on a design that has been worn for centuries. 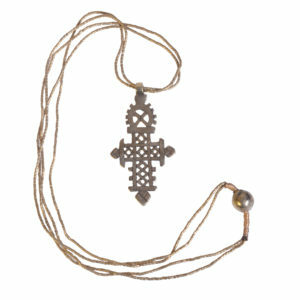 Description: Gold-plated Ethiopian cross (with or without gem) on 4mm or 5/32″ plain leather chocker with magnetic clasp. 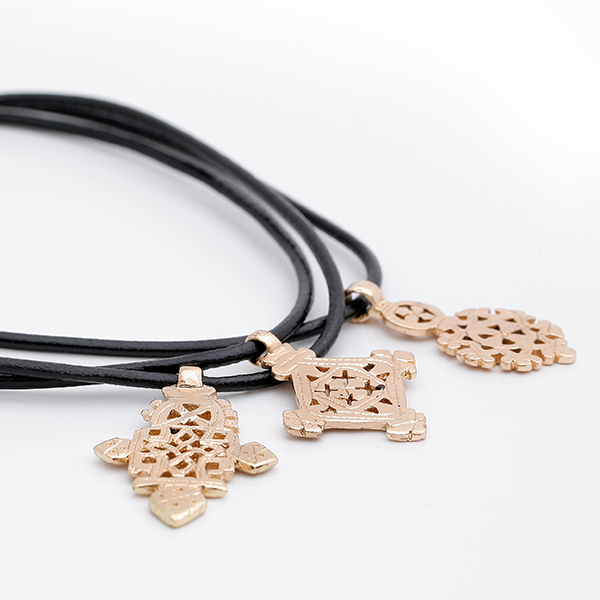 Components: Gold-plated Ethiopian cross on plain leather chocker with magnetic clasp; Small Ethiopian cross with gem.